Don't let those thoughts run away. Hosted by Bread Society International – UP Diliman Chapter, the event was part of the university’s ACLE or Alternative Classroom Learning Experience. The ACLE is a university-wide event where student organizations can hold symposiums, film-showings, and other similar programs to provide a day where UP students can learn new things in alternate classroom settings. Held last January 16 in CAL 206, the event was jampacked with UP students and non-UP students alike, with the total tally of attendees reaching 140 participants. 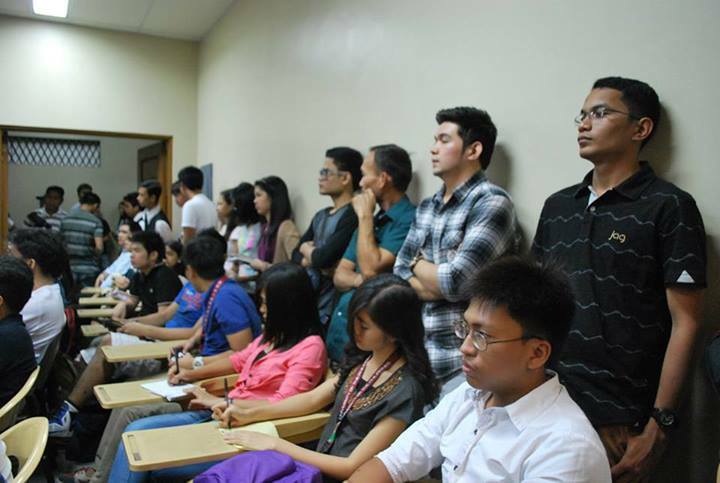 CAL 206 was jam-packed with students, some weren’t able to have any seats. 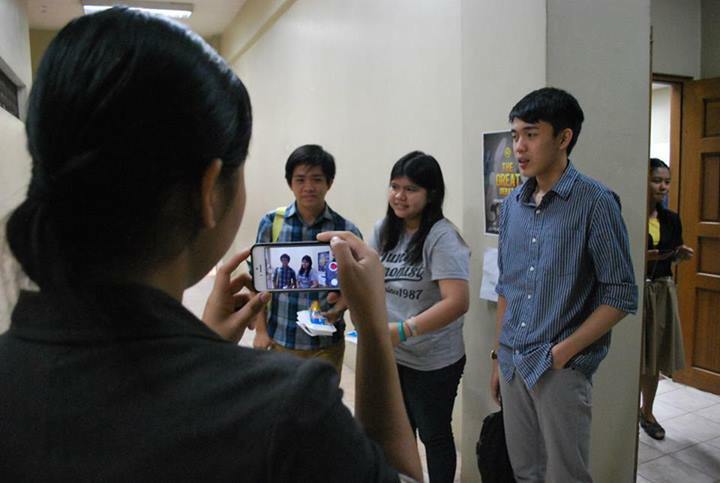 Because of lack of space inside the venue, students piled outside the room’s window areas to be able to watch the event. Despite some misunderstanding about the event being aired live, it did not hinder fellow UP students to attend the said event. The video played was actually a former Bible Exposition video held in Nasugbu, Batangas last 2011, where Mr. Gerome Almodovar, co-founder of RDNA, Rationalists and Darwinists of Nasugbu, asked an atheism question to Brother Eli Soriano, host of the Bible Exposition. Spanning an hour and a half, the video details how the Exposition became an impromptu debate, when both sides started giving arguments. “It was a good event, I saw the different arguments of both sides,” says Leo, a first year BS Economics student. “Having watched the event, it made me know which points to consider in atheism and creationism.” He added. “My attention did not stray anywhere else, just on the video. Every moment, we were waiting [for] what’s going to happen next!” Exlaims Ian, also a first year BS Economics student. “I like how Bro. Eli’s arguments were laid out. The other guy also had good arguments, but he wasn’t able to back up his claim,” commented Jaycee, a third year BA European Languages student. Participants of the event had good things to say about the debate. In the end, UP BRead had achieved its goal of providing an excellent alternative classroom learning experience, judging by the feedback given by its event participants. Come last week of February or the first week of March, UP Bread will once again hold an event geared towards promoting the Bible. God-willing, UP Diliman will be one of the remote points of Ang Dating Daan’s Worldwide Bible Exposition, as hosted by Bro. Eli Soriano and Bro. Daniel Razon. 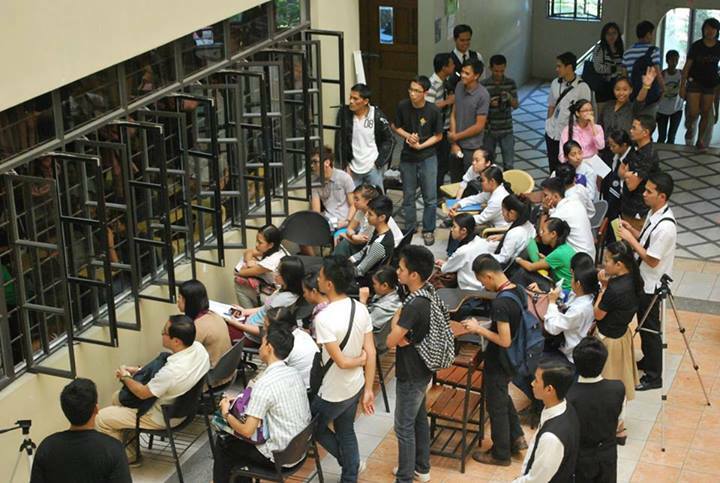 Here, UP students, professors and staff are all welcome to ask questions and be answered by the Bible. The upcoming event, unlike the previous one, will be LIVE.